shattering the attendance record set during the 1992-93 season. Last edited by BigE; 04-23-2018 at 10:51 AM. Can someone remind me what the rationale was for having new threads every season for every team instead of just a single thread for each team that carries over from year to year? Some people don't want to be reminded of the prior year. This thread should be shut down. Now. Big E gave this thread a thumbs up. That's the off season version of a blue circle. 90% of our scoring last year was 2 freshmen, 2 sophs and 1 junior (Fore). If he graduates this spring (he had a redshirt year) I guess there has to be a graduate program for him to work on to play for us next year. So he's transferring, or has requested to be released. Is that right? There's no way for him to stay otherwise? Guess I'm confused as to why he has to "request his release." With the experience these guys gained this year, I hope to finish above the middle of the pack next year. Last edited by paulxu; 04-04-2018 at 06:25 AM. Well, technically you finished above MOP this season. Now just win more than 2 games OOC in 18-19 or we'll have to consider expulsion. Fore's departure is not the first time Mooney has been struck by the grad transfer cobra. UR has probably been the most redshirt-happy program in the A10 recently, so will this give them some pause in doing so henceforth? After all the coaching changes and player movements, do like the around the league for posts. Incredibly misguided. Who gets in these kids' ears? So Eric Paschall goes and wins a title and every A10 "star" sees their name in neon lights final four weekend if they can just ditch their current situation? Edit: I realize I post this with zero knowledge of his individual situation. But the overall trend is disturbing. Well, they just got finished featuring him in a video package on the Spiders' website, for whatever that is (is not) worth. What gets me is that a kid in that situation will be wasting a year when he transfers. Don't know all the rules about practicing, etc. when you are in the "sit out" year, but certainly your game experience suffers. Paschall was a freshman when he transferred. Buckingham is a sophomore. So Buckingham is thinking about things but that ESPN radio guy thinks he will stay. Interesting that he knows the decision while the player is still thinking. Seems like a way to tweet the rumored information while at the same time staying on the good side of the program. It is not really a well hidden secret if you know RVA/state AAU people or basketball journalists. I heard that Buck and Sherod were thinking about it last year too. 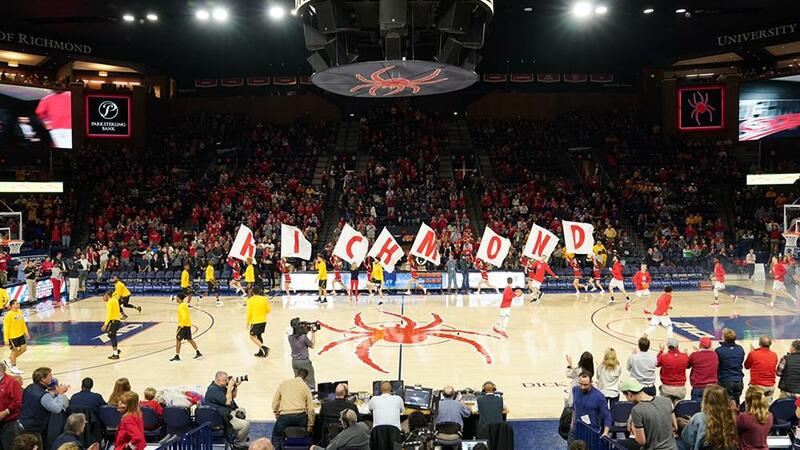 Personally I hope Buck stays because I am sick and tired of good coaches and good players leaving the A10. I want them here.